It is a truth universally acknowledged that, after pr0n, the most important genre of content on the Internet is cat videos. But in the early days of the Web, there was no video. For sure, there was pr0n, but how did the Internet work without cat videos? Follow me below the fold for some research into the early history of Web content. 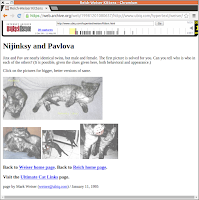 In those early days, the Web may not have had cat videos, but that didn't mean it lacked cats. Cats colonized the Web very early. Among the leaders were the twins Nijinski and Pavlova, sadly now deceased. 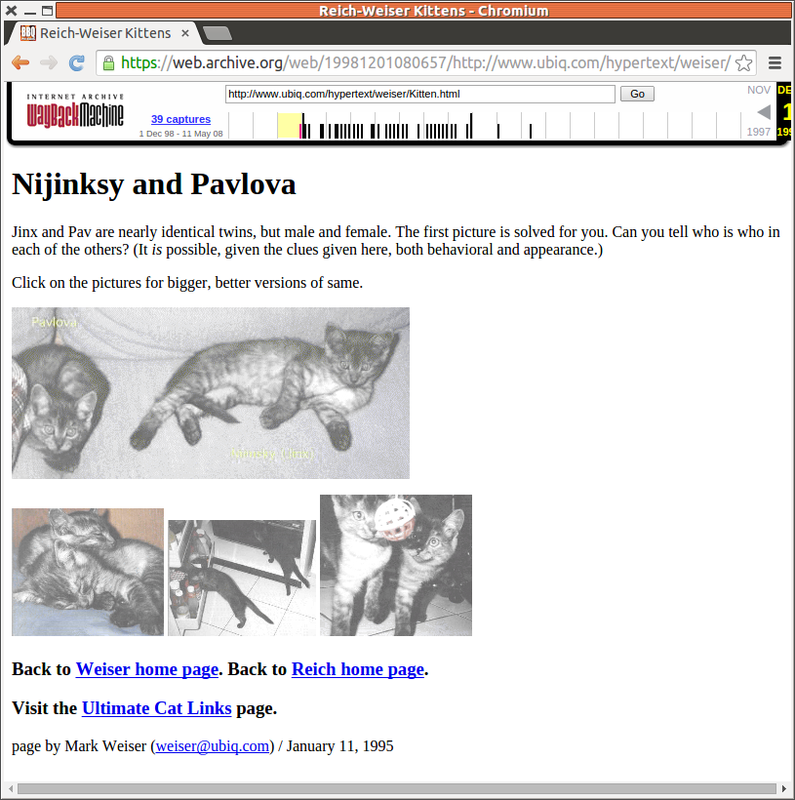 21 years ago this month, on Jan 11th 1995, the late Mark Weiser created Nijinksy and Pavlova's Web page. A year later they were featured in the book Internet for Cats by Judy Heim. On Dec 1st 1998 the Internet Archive's crawler visited the page, then 1,421 days old and thus a veteran among Web pages. This was the first of what would be 39 captures of the page over the next decade, the last being on May 11th 2008. The page achieved a Methuselah-like longevity of at least 4,870 days, or over 13 years. 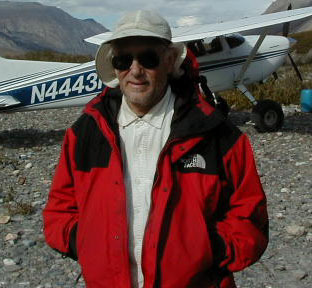 Fortunately, the last capture shows that Mark never updated the images. Nijinksy and Pavlova remain immortalized in all their kitten-cuteness and similarity. Nijinksy, who inherited all the brains and the energy of the twins, remained svelte and elegant to the end of his days, but in later life his lethargic sister became full-figured. Although we cannot know the precise date the web page vanished, it appears that both cats outlived their page by a year or more. 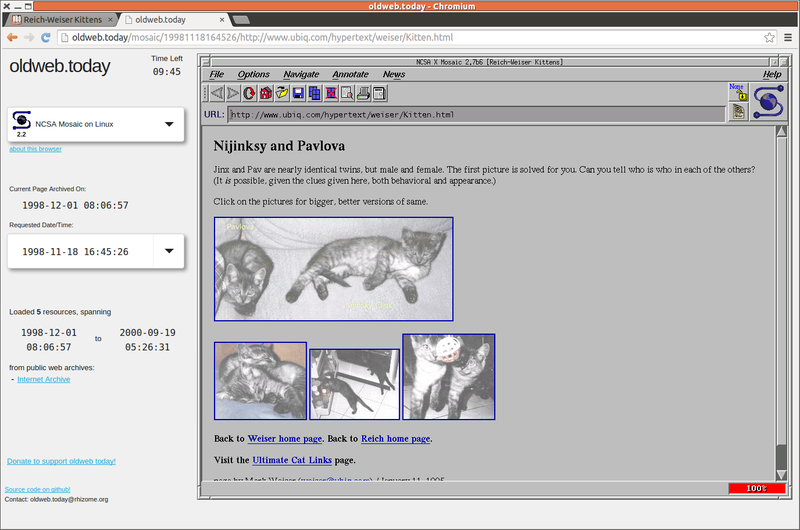 Thanks to Ilya Kreymer's oldweb.today, we can view the page using Mosaic 2.2, a contemporary browser. Note the differences in the background and the fonts, and the fact that all the resources oldweb.today loaded came from the Internet Archive. This is expected with pages as old as Nijinksy and Pavlova's. In those days the Internet Archive was pretty much alone in collecting and preserving the Web. Over the last two decades the Internet Archive has become an essential resource. Please support their work by making a donation. I wanted to add that running oldweb.today for the public also has operating expenses. Fortunately, this has been generously provide by Rhizome, a digital arts non-profit committed to digital preservation, where I work as a developer on the Webrecorder project. If you like oldweb.today, please consider making a donation to Rhizome so they can keep this service running for the public.